If you are one of the millions of people who work out of a cargo or service van, you understand abuse they take. 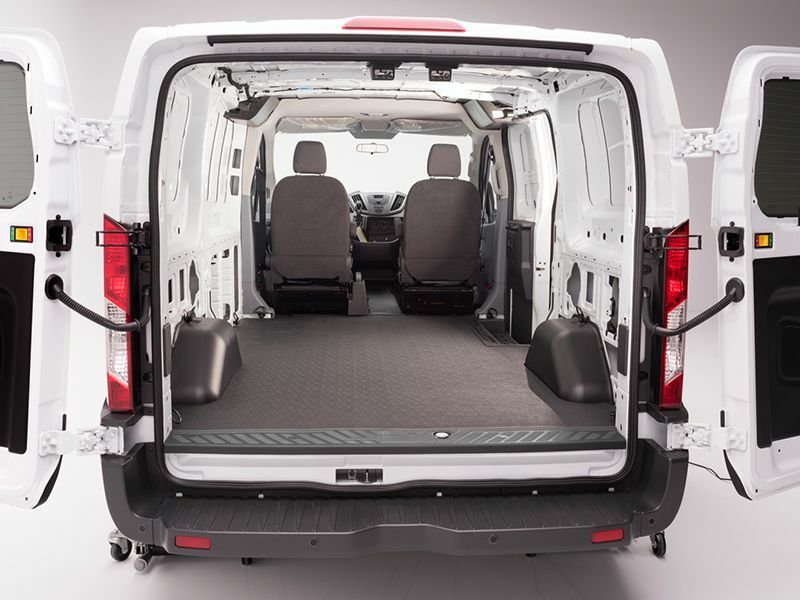 BedRug now offers their VanTred liners to help protect your van and cargo from costly damage. This rubber floor mat offers unmatched durability with a soft, padded feel. Like other BedRug products, the VanTred liner starts with a layer of closed-cell poly foam padding that is waterproof and offers a cushioned feel, putting less stress on your body and cargo. Laminated to the top of the foam is a thick layer of rubber for rugged durability and excellent anti-skid protection. All VanTred rear liners are die cut for a vehicle specific fit that slips right in. BedRug's unique foam bottom is not only waterproof to keep moisture from causing rust, but it's soft design also saves paint and fights scratches caused by other liners. The VanTred is chemical and oil resistant, as well as easily cleaned with vacuum or water hose.